Some conditions involve inflammation or degeneration of nerve tissue in the brain, spinal cord, and / or nerves in the body itself. This situation can cause irritation to these nerves and consequently can lead to pain in the head and face regions. 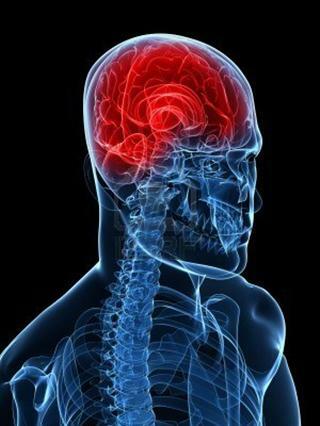 Multiple Sclerosis is one such condition, and headaches are a possible outcome in a number of cases. Often M.S also affects the ‘Brain-stem’ and Cerebellum, so symptoms often include problems with vision, balance, co-ordination, and speech. Problems with sensation around the body is also a common result of nerve degeneration conditions; as too are problems with muscle ‘power’ (strength). Most of these conditions will result in a progressive onset of symptoms (with or without periods of dormancy or no symptoms), so it is best to have a specialist check you, if your headaches are accompanied by other symptoms, or are getting worse.